It’s been quite a crazy start to the week here on Add A Little. How’s it been for you? Yesterday was pretty cray to the cray to be honest. First of all, I make breakfast and the scariest bug was hanging off a calendar (think moth crossed with daddy long legs). I have a phobia of bugs so I was a bit like ASDFGHJKL OMFSGFSIDFUH. As well as that, I missed my bus THEN missed my stop on the way to school and overall it was a pretty hectic day! 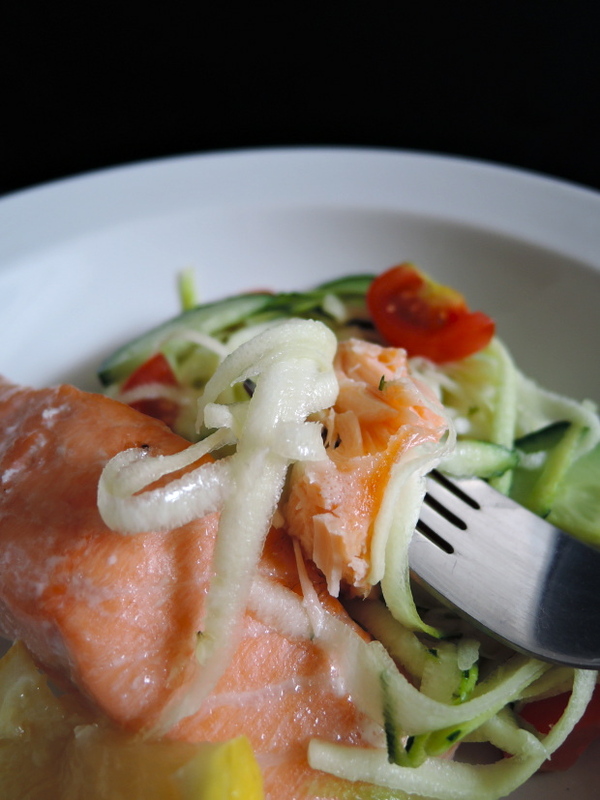 I hope you can try it out for yourself : the crispy outer layer that encases tender, falling apart salmon! Delicious! Under 30 minutes for a delicious and healthy weeknight meal to be on the table -what more could you want? Salmon is tender and flaky with a crispy crust! Serve with a good squeeze of lemon and it’s fantastic the next day in a salad. Salt the salmon liberally and leave on the side for about 10 minutes. After about 10 minutes, dab the salmon with a tissue to get rid of any excess moisture and add a touch more salt. Place skin side down in a hot oven for 15 minutes until cooked through, but still tender inside. 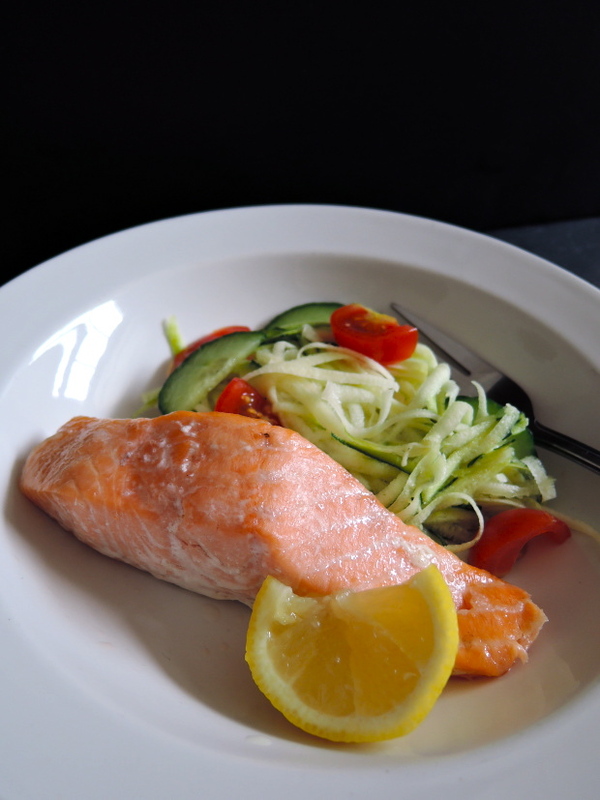 *If you want crispy edges, place salmon ‘meat’ side down, rather than the skin, or flip halfway through cooking so it doesn’t stick to the foil. I wish I liked salmon, but it’s a bit too “fishy” tasting for me. My husband loves it though – and your dish reminded me that I need to make it for him again! Thanks for commenting! Hope he enjoys it! 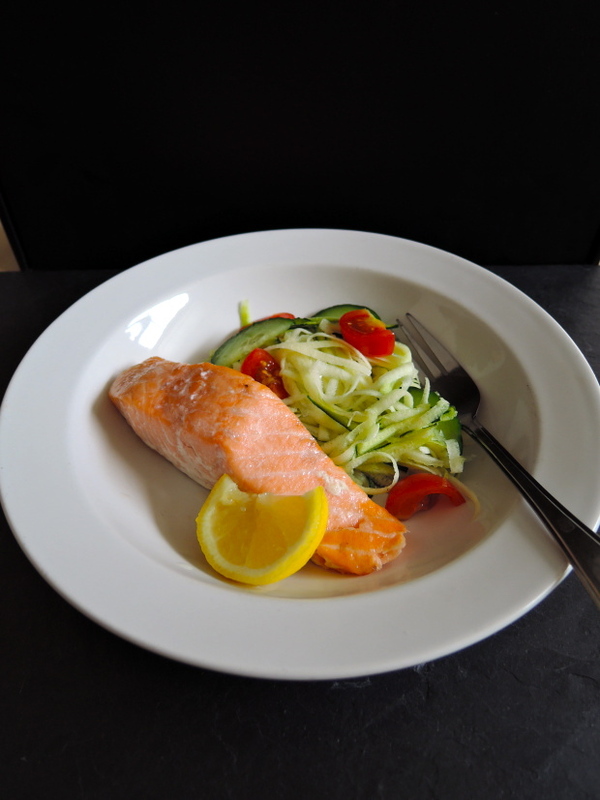 We love salmon and we often eat this dish too! So simple, but very delicious especially when we get good salmon. My kids would be happy with miso soup and white rice (and veggies of course… haha). This is light and healthy dish! Thanks Nami! 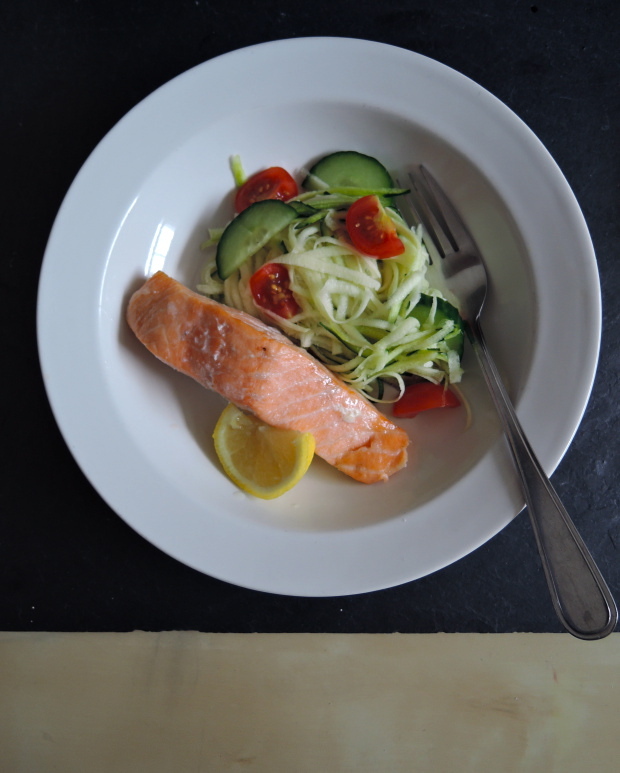 This is one of my favourite dishes too – so easy and delicious! How have I never made salmon before???? This looks SO good!! Girl, you are missing out! You need to try it ASAP – one of my favourite fishes! Oh I feel like this exactly for lunch today Millie! Is it weird that I have a craving for salmon? mmm, that forkful of salmon looks soft and perfect!